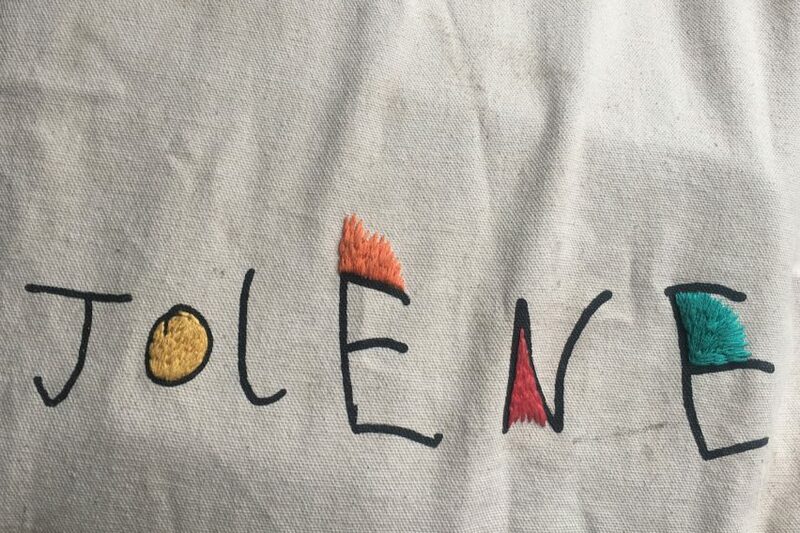 Lettering scribbled by the young son of graphic designer Frith Kerr provides the logo for north London restaurant Jolene. The Studio Frith founder turned to her six-year-old son to create the logotype, which provides the brand identity for the restaurant and bakery located in Newington Green. The team were looking for a logotype "to provoke the naive simplicity Jolene is expressing". Kerr chose the final design from a number of written variations. The sloping handwritten letters are a mix of lower and upper cases, and are unmistakably the work of a young child. "The final logotype was selected for the inimitable spacing and crescendo of elegant sans-serif capital letterforms," said Kerr. The resulting logo appears on canvas totes and paper carrier bags. It can be found in the interior design of the restaurant, sewn onto curtains, as well as printed at the top of the daily menu. "The logotype's handmade nature also has the potential for it to exist in many forms without it feeling out of place with the space, whether it's embroidered on a window curtain or stamped loosely on a menu," said Studio Frith. 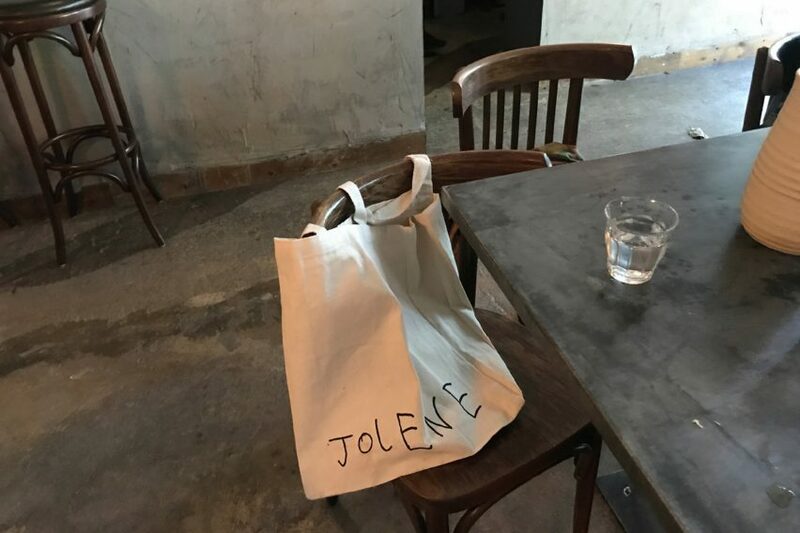 It is intended "to provoke the naive simplicity Jolene is expressing"
Jolene opened in September 2018. 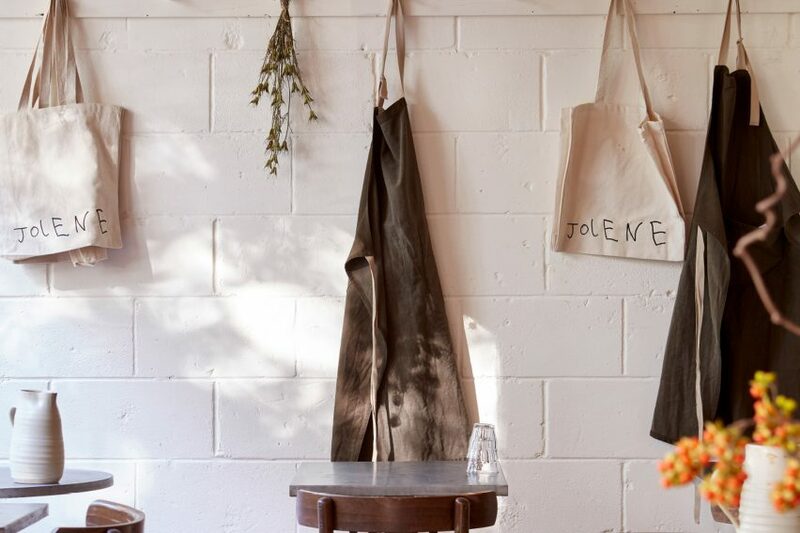 It is the third space from restaurateur Jeremie Cometto-Lingenheim and chef David Gingell, following Westerns Laundry and Primeur. 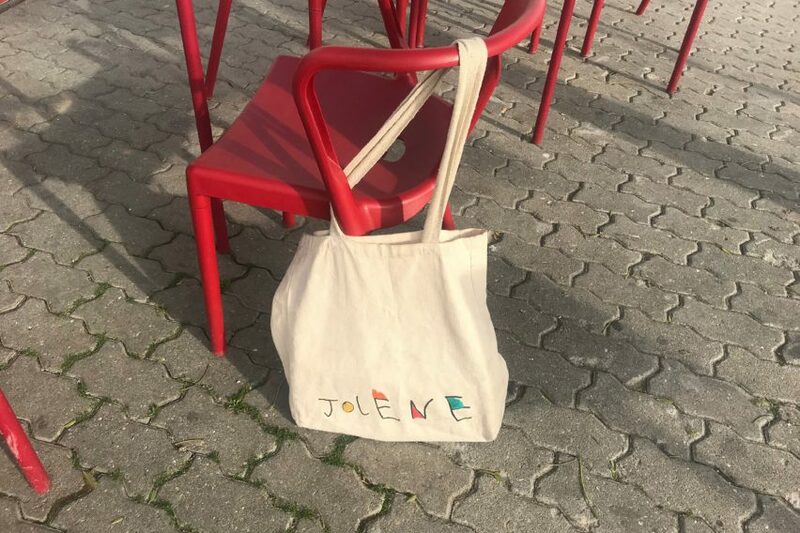 "At the centre of Jolene, there is a core idea which promotes sustainable farming methods to preserve the soil for future generations," said Cometto. "I remember asking Frith to come up with a logo which would reflect this idea and for it to look naive, almost childish. When I received the draft, hand drawn by her then six-year-old son, I could not have been happier." The interior of the restaurant is decorated in muted tones with unpainted plaster walls. Guests sit at stainless-steel topped tables to eat sharing plates of modern British food. A long bar runs the full length of the space where guests can eat, and also serves as a counter for freshly made goods. "The logotype's unfinished temperament, plays on the aesthetic of the restaurant itself, with its rough-hewn plaster walls, warm ambient lighting and simple bentwood chairs," explained the studio.